Gerry recently had the opportunity to review the Scangauge II by Linear-Logic. He loved that it was as easy as plug in and go. Very user friendly product. But what exactly is this product you ask? 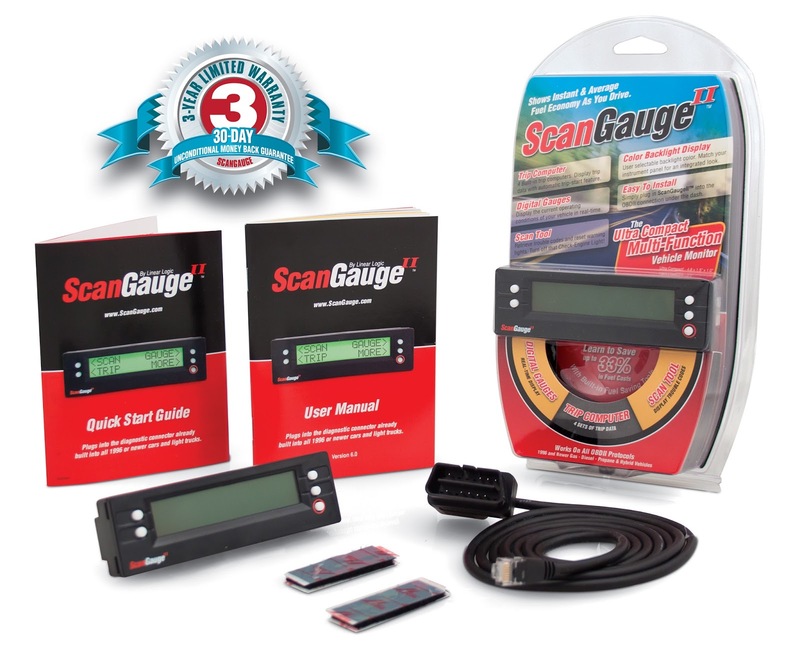 The Scangauge II helps to monitor your vehicle's vital systems. And it provides real time information that you may have been missing before. This comes with many different features. Some of the features that are included are 15 built in digital gauges.Perfect for our RV travels. It will measure parameters, such as the transmission temperatures, trip data and fuel economy information. It is a very easy to use scan tool and and also has a compact design. It's like a new "man toy" for Gerry! The Scangauge II also has an all new Performance Monitor, which will give you the ability to track your vehicles performance over short periods of time. You can also monitor distance and acceleration. And some other things the Scangauge II can help you to do is help you improve your gas mileage, troubleshoot your vehicle and catch problems early. The Scangauge is very compact and installs in minutes without tools. It does not require batteries or an external power source. An all around great product!